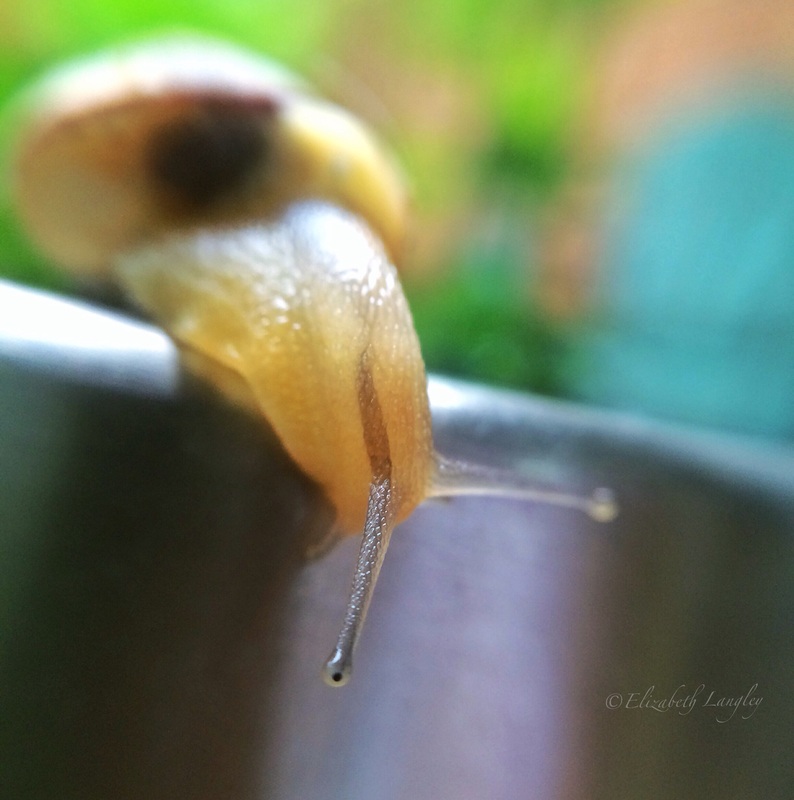 Mr Snail, on my back porch. 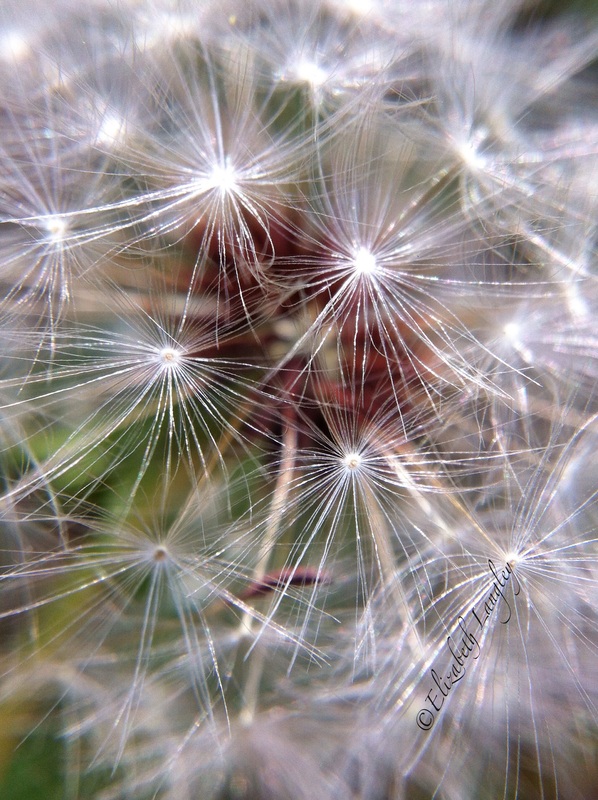 Dandelions are so delicate in their beauty when you get really close. 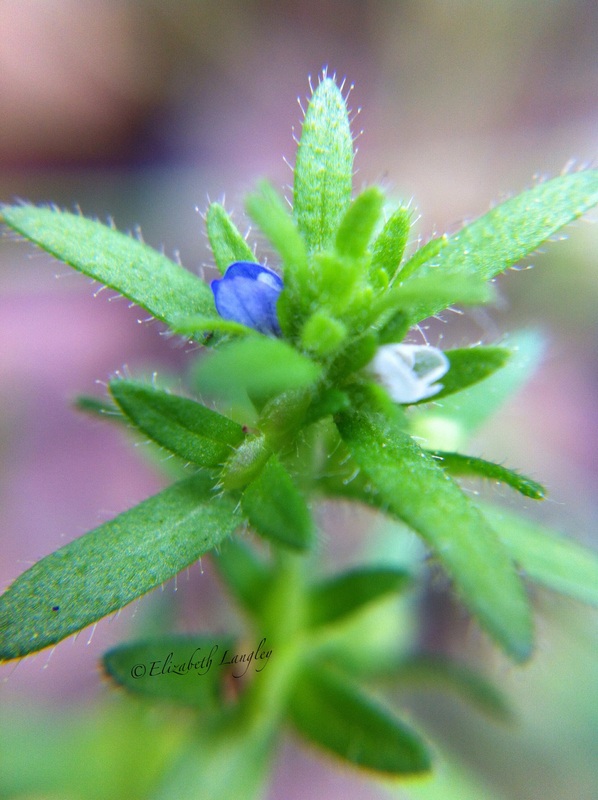 With the Olloclip again, this plant was so teeny, I didn’t realize there were two flowers on it. I love getting close up and personal with pictures. For my first one, this was shot with a little cool clip on lens called Olloclip that fits over the lens on my iPhone. 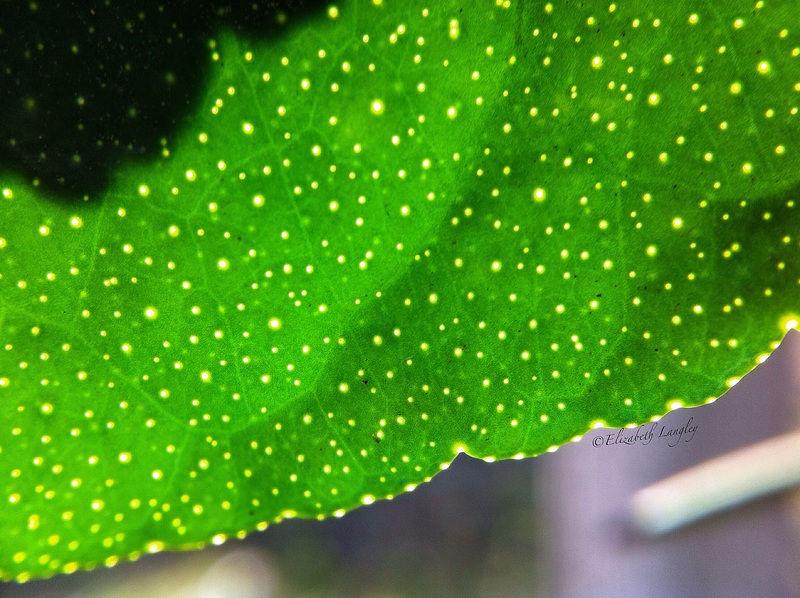 This is a leaf on my Kaffir lime tree, the yellow dots are the oil glands in the leaf that produce the flavor the leaf is valued for. 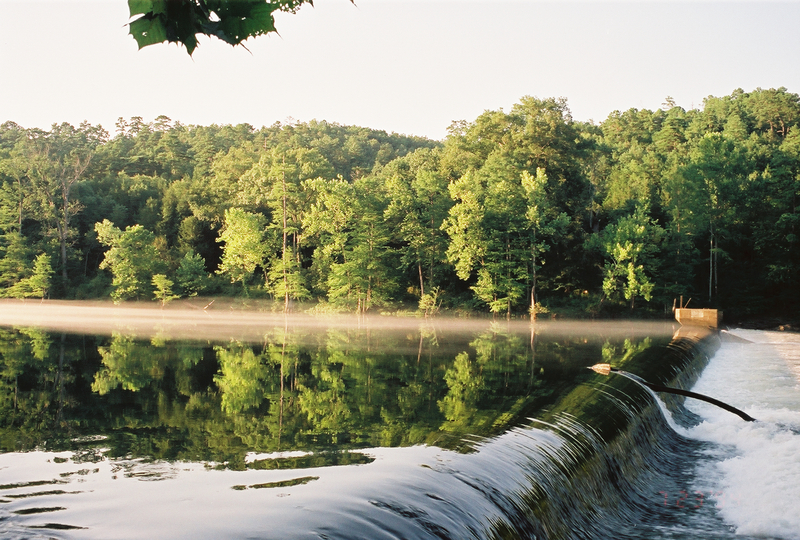 Beaver’s Bend State Park in south east Oklahoma.